The universe is enormous — so vast that it’s almost impossible to picture what it might look like in one image. 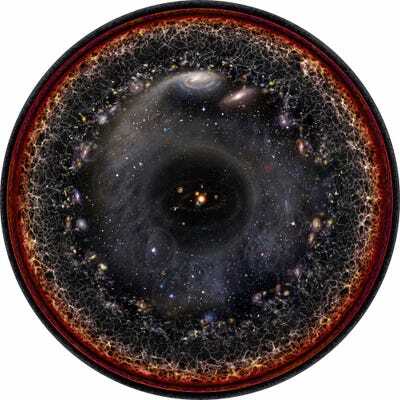 Pablo Carlos Budassi/Wikipedia (CC BY-SA 3.0)A logarithmic illustration of the entire universe, starting with the solar system and ending with the cosmic background radiation of the big bang. Pablo Carlos Budassi/Wikipedia (CC BY-SA 4.0)A vertical logarithmic scale of the universe.